What is the Best TEFL Course? Can You Learn Business English Online? What Does Fingers Crossed Mean? What is the Opposite of Black? 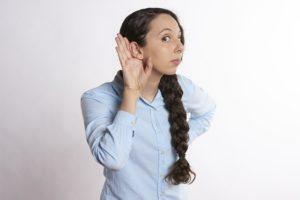 In this article, I will look at various ways in which you can improve English listening skills. 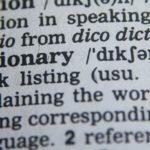 Although we focus on the English language here, this will also apply to any language. Before diving into individual methods, here are a few general things to bear in mind. You won’t see an improvement after three days. This is a long-term project and you might not notice the improvements that you will be making on a daily, or weekly, basis. Nevertheless, keep at it! You are improving – it’s just difficult to measure. This applies to many things, not just language learning. 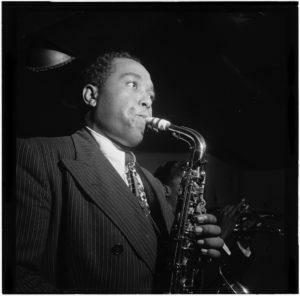 Charlie Parker, the saxophone player, apparently spent 3 to 4 years practising between 12 and 15 hours a day at the start of his musical career. It might be stating the obvious, but the more you practise, the better you will be. You get out what you put in. You will probably have other commitments and might not have the time to spend listening for hours every day, and that’s fine. So think about things that you do that don’t require 100% of your attention. For example, doing the ironing, certain sports, or (dare I say it) driving to work and back. When ironing, jogging, pumping iron, driving to work, or (insert your own activity here), instead of listening to music, why not listen to some English? Be creative and use your time effectively. There are many, many different accents. Learners who have a different first language will have different accents, depending on their mother tongue and native speakers will have wildly varied accents, depending on where they grew up or live now. This is a good thing – otherwise it would be very dull. 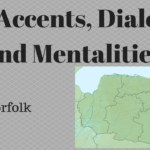 Please don’t fall into the trap of only listening to one type of accent. If you do this, you will have trouble with other accents, as you won’t be used to them. Ideally, listen to different native and non-native accents. This will help you a lot. So, now that we have gotten that out of the way, let’s look at some specific examples. I’ve put these two together deliberately, as there is a large overlap. With the advent of digital TV, many films and programs are now available in several languages. For example in Germany, most English programs are available in English and German. Switching between the two usually involves just a few buttons. If you don’t like waiting for the program to be aired, there are streaming-on-demand services such as Netflix and Amazon Prime. These can be watched (several times, if necessary) whenever you like and usually have language options. You can watch your favourite programs and films in your language first and then watch in English. For advanced learners, go straight to the English version, using the other language if you have problems understanding a particular part. There are some impressive YouTube statistics. Something like 400 hours of video uploaded every second. Check out the link for more information. No matter what your personal interests or hobbies, there will be many channels for it. The good part about YouTube is that it only requires an internet connection – there are no other costs. Search for videos that match anything that you find interesting. Check out some of the videos that come up in the results list and see if you like them. With a bit of luck, you will find a channel that you like to watch. Subscribe to that channel and look for a few more. After a while, you will be subscribed to several channels with interesting videos (in English!) that you can watch. Your English listening will improve. 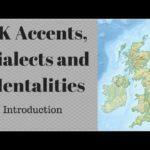 Another useful aspect is that you will end up listening to a range of accents. Podcasts are the audio equivalent of YouTube and can be seen as a sort of internet radio. Unfortunately, unlike YouTube, there isn’t a single website where you can access lots of different podcasts. You will have to hunt them down. I don’t want to go off on a tangent about this, so just use your favourite search engine and look for ‘how to find podcasts’, or check out this article for a starting guide. There are podcasts on a huge range of topics. As with YouTube, search for those topics or people that interest you and check them out. When you find some that you like, make a note of it, bookmark it, or do whatever your app allows in order to find it again. Because podcasts are purely audio, there is a lot of conversation. Many formats involve the host interviewing guests about a particular topic. This also allows exposure to a range of different accents. While a lot of podcasts are a paid service, there are still many free podcasts that you can access. In a previous post, I said that reading was a good way to learn a language and showed you how to get cheap, or even free, ebooks. Well, many ebooks now come with an audiobook option. What this means is that you can listen to someone read the book out loud to you. It doesn’t matter where you are – you can pop in your earbuds or pop on your headphones and listen. These can be fiction, or non-fiction. So whatever your preferred type of book, you can use the audiobook option. Sometimes, you will find a voiceover reader that has a really great voice and you could even search for books that they have spoken and use that as a way to discover new genres or authors. There is a great way to help other people and let them help you. You help them learn your language and they help you learn theirs. There is even a site (italki), that can be used to link up learners in this way. For more information about italki, please read my post about the complete service they offer. For the purposes of improving your English listening, it is enough to know that you can, online or offline, find someone who is learning your language and help each other. What you talk about is not important – you will usually find some common interests. Meeting interesting new people while getting to improve English listening ability is a great combination. It might be hard to believe but 10 years ago, nobody knew what a smartphone was. It really is a modern invention that has taken off in a big way. Many of the ideas mentioned already can be accessed with a smartphone, but there are still more options. For example, apps. There are many apps that you can download and install, often for free or for a small payment. These apps will help you to learn languages, irrespective of where you are. With so many apps becoming available every day, it’s virtually impossible to give up-to-date recommendations. If you have a favourite language learning app, why not tell us about it in the comments? Don’t forget games either. Set the game language to English and play. This will give you lots of listening (and reading) practice, while having fun at the same time. Sounds like a win-win situation to me. Other apps can also be used for language learning purposes. WhatsApp is a messaging app, but a recent update has enabled users to send spoken messages to each other. This will use a lot more data that a text message, so only do this is you have a WLAN connection, or a lot of available data. Instead of typing in a message, hold down the microphone button and talk. Release the button when you have finished. This will give you both speaking and listening practice. You can even create a group for your learner friends and only communicate this way. These are just a few ideas – I’m sure your creativity can find more ways for you to improve English listening ability. Did you discover some new ideas? Or did I miss any out? If you have any questions or comments, please use the comments section to ask or tell. Thank you so much for your advice. I was really interested talking about English language.My weakness is listening to communicate. Hi and thanks for taking the time to comment. Thankfully there are lots of options these days. Copyright © 2019 Business English Success.